Americans use the defence missile system to protect their capital region, which is how India plans to employ it. The surprise announcement that India will buy the US/Norwegian Sparrow air defence missile system for $1 billion may have been expedited to mollify the United States. Given Washington DC’s unhappiness with India going ahead with a $6 billion, five battery S-400 SAM (surface-to-air missiles) purchase from Russia even though the US has issued a waiver (Countering America’s Adversaries through the Sanctions Act), there will be speculation that the Sparrow air defence missile deal is meant to appease the Americans. 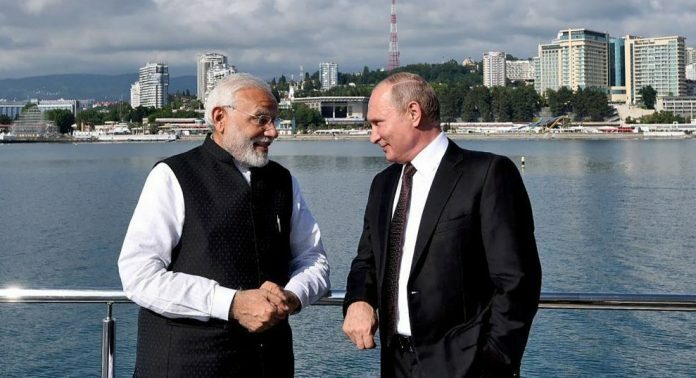 India takes very long to buy any weapon, and the US concern over the S-400 became loudly public only about a year ago. The immediate question that is being asked is this: Why not pick an Indian system or the Israeli Barak 8 in whose development we invested in and that will come into service with the Navy and Air Force? There is, however, no sinister plot to destroy the development of indigenous SAMs. When it is considered that the classified range of the AIM-120D is believed to be greater than 180km, the Sparrow is in a different class altogether from indigenous missiles. Moreover, the launch and control component, made by a Norwegian company, has been well-tested in service with multiple countries, including the US. The Americans use the system to protect their capital region, which is how India plans to employ it. India has been looking for credible missile defence systems for more than two decades to protect its vital establishments, including the national capital and its nuclear installations. What does $1 billion buy us? This is surprisingly difficult to estimate because the structure of each big-ticket SAM deal is different. My high-ball guess is 20 launchers, each with six missiles. The realistic number of launchers could be much lower, perhaps 12 plus. This gives between two and three batteries of six launchers each. Incidentally, the AIM-120D costs $2 million per round. With training rounds, reloads, regular software updates, spare parts, training, and assured vendor maintenance we could easily be looking at just two batteries. They will replace the now museum piece SAM-3 Pechoras; a squadron in the Indian service has 8 launchers with a load of 32 missiles. None of this is a solution to India’s serious problem of obsolete equipment. The government of India may not be firm on many things, but one which it refuses to budge from is its stand on severely starving the military of new equipment. I will not comment on the government’s new metric of noting that the defence equipment takes up one-third of the Centre’s capital budget. This is a hilarious content-free metric without meaning. The government has said that the GDP measure is meaningless because, thanks to our large informal sector, it is understated. Comparing the Indian defence spending to a reasonable estimate of the real GDP will show we spend even less than the budgeted 1.6 per cent or so. Ravi Rikhye has written 16 books on defence, and co-authored ten others. Next articleAre Indian Muslims more religious than other communities?